Translation Of Your Idea To Working Web Software Is Key To Your Success. Your web software team should be innovative, effective communicators, able to work on multiple software platforms, and flexible if the direction needs to change. 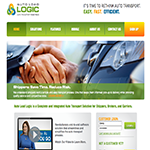 - Deron Balch, COO of Auto Load Logic. Are you struggling to find a capable local West Texas software company to create your idea? Perhaps you are a business needing to expand on your current web solution? If you are looking for a team to build your next web project or expand on your current one then our team can help. We offer various levels of talents in producing web software and application solutions. We understand open source and enterprise platforms. Our talents vary from C#.NET, Java, to PHP and more. In addition, Dream Spectrum is able to build mobile applications for iPhone and Android. 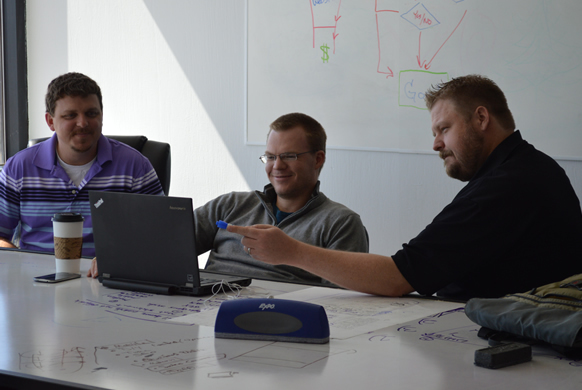 Dream Spectrum is a Lubbock software development company with offices in Lubbock and Abilene Texas. That in itself doesn’t make Dream Spectrum unique. We understand how to work with our clients, create prototypes, and launch products. What we offer is specialization in start-ups, bringing forward creative solutions, and the ability to create great user experiences in our solutions. We also understand testing applications that include load testing on the server to user testing. This all combined with our teams talents let’s us build truly powerful web solutions.